Just 25 miles east of Los Angeles in Pomona, at the foot of the beautiful San Gabriel Mountains, Fair Oaks Walk strikes the perfect balance between charming small town life and convenient city living. Fair Oaks Walk was developed especially for Cal Poly Pomona and its affiliates, and faculty and staff at any local college. 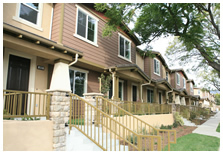 These beautiful homes are available to employees of Innovation Village subject to ava ilability and eligibility guidelines. 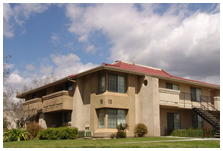 Located directly across from Cal Poly Pomona University, the University Village offers a convenient place to stay if short term or interim housing is needed. The University Village has direct access to the campus through a shuttle service and parking is available inside the gated community. The campus and the University Village are located near four major freeways: the 57, 10, 60 and 71. The University Village is within walking distance to Innovation Village and the campus, and offers various amenities to accommodate group functions. Please call for more information at 909-869-4198. Kellogg West Conference Center and Hotel, nestled on a tree lined hilltop overlooking cereal magnate W. K. Kellogg's estate, has become one of the leading conference centers in all of Southern California. Receiving both state and national recognition, Kellogg West continues improving itself to not only meet, but exceed its guests’ expectations. 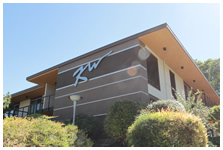 Please call for more information at 800-KWEST-76 (800-593-7876).